Use the headphones button (bottom left) and then select the globe to change the language of the page. Need some help choosing a language? Please refer to the Browsealoud Supported Voices and Languages resource. This leaflet has been produced to give you general information about wearing your Halo Vest System and should answer a number of your questions. It is not intended to replace the discussion between you and your healthcare team, but may act as a starting point for discussion. If after reading it you have any concerns or require further explanation, please discuss this with a member of the healthcare team who has been caring for you. What is a Halo Vest System? The Halo Vest System is a brace which stops you moving and places tension on your neck bones, which allows broken or dislocated bones to heal and helps prevent further damage to your spinal column. A set of four rods and two blocks, which connect the head ring to the special vest. The Halo Vest System equipment is made from material that is strong and light so it is easy for you to move around. Why do I need a Halo Vest System? You may have had a recent neck injury and because of this, you need to be in the Halo Vest System for a period of time in order to protect the bones from any damaging movement. You will have the Halo Vest System equipment fitted on the ward. The Halo part of the equipment will be fitted to your skull using pins that are placed through the skin directly into the skull (local anaesthetic is used to numb the area prior to pin insertion). You will then be put into the Special Vest; the rods will be connected to the blocks to form the complete Halo Vest System. Are there any alternatives to having a Halo Vest System? This depends on the extent of your injury. Where possible, if your neck can be held in place by a neck collar, this is what the doctors will suggest. However, there are some circumstances in which Halo Vest System offers the best results. Can there be any complications or risks? 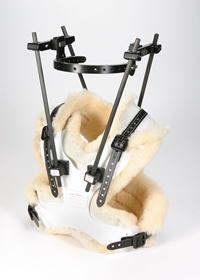 Bumps and knocks to the Halo Vest System can be painful and traumatic and vigorous activity is best avoided. Following application of the Halo Vest System you will be visited by the Physiotherapist and Occupational Therapist. They will help you to get used to the traction equipment. There are special ways of moving about, getting up or sitting down while wearing the Halo Vest System, and the therapists will show you how to do these things. At no time must anyone help you move by pulling on the metal rods that join the Halo ring and the Vest System, as this will cause tension on the skull pins. The pins will initially be tightened by the physiotherapist at 24 hours post application, then at regular intervals which your therapist will arrange with you. You will need to visit the hospital regularly following discharge for these appointments. Your doctor will decide the length of time you will be expected to wear the Halo Vest System and this will be discussed with you while in hospital. If you notice the pins become loose you should inform the ward immediately. At first, the sensation of swallowing may feel different as you will be unable to move your neck and it may take a little time for you to adjust. The sheepskin vest should be kept dry at all times. If it gets wet, dry it with a hairdryer on a cool setting. You should never try to remove the sheepskin from inside the jacket. Please do not make any modifications to the vest yourself. Skin care underneath the sheepskin is difficult. You will not be able to have a bath or a shower, but areas that you can reach should be washed and dried every day. Use water only – do not use any soap, oil or powder. Your occupational therapist will give you specific advice on how to do this. This can also be difficult. The best way is to lay on a flat surface (bed) and extend your head over the edge taking care to cover your vest with towels/plastic. Hair can then be washed as normal over a bucket, taking care not to bump the pins as this may cause discomfort. If the pin sites are oozing or painful or the pins are loose, please contact the ward directly. Try to avoid touching the pin sites throughout the day to prevent infection. The Halo Vest System is worn next to your skin so you may find big, baggy clothes with buttons or zips are easier to wear over the Halo Vest System. Always wear low heeled shoes with good grip to avoid slips and falls. Your occupational therapist will be happy to give you specific advice on adapting clothing. It will take time to adjust sleeping with the Halo Vest System on. You may use pillows to help support you if it is comfortable. Using a rolled towel under your neck will also give the feeling your neck is supported and may help with comfort. If someone is helping you sit up, remember do not let them pull up on the bars. Despite initial feelings of awkwardness, it is important to remain as active as possible. There are a few restrictions, for example not being able to drive due to restricted neck movement and heavy lifting should be avoided. You may feel more tired initially; however this will improve as time goes on. If your job does not involve physical activity you should be able to resume light duties – you will need to liaise with your Occupational Health Department regarding interim adjustments to your work area. Firstly ensure the seat to roof height of the vehicle is sufficient to accommodate the overall height of you plus the jacket with approx 1” surplus. Ensure the passenger seat is set back. Enter the vehicle with your body bent forward and sit down, then swing your legs round. Your physiotherapist can go through this with you on the ward if required. You will need to come back into the hospital in order to have the Halo Vest taken off. You will have a CT (computed tomography) scan and / or X-rays to check that healing is satisfactory before it is removed. This will be discussed with you at your final pin tightening appointment. The actual removal of the Halo Vest System is a simple procedure that should take about 10 minutes. It is not a painful experience although you may feel slight discomfort as the pins are removed. Once the Halo Vest System is removed, your neck may feel very weak and stiff since it has not supported your head for some time. Because of this you may be fitted into a collar to allow the neck time to strengthen – this normally takes a couple of weeks and your physiotherapist will guide you through an exercise programme to aid this. Please bring with you clothes to dress your upper body after removal of the Halo Vest System. Most of your questions should have been answered by this leaflet, but remember that this is only a starting point for discussion with the healthcare team. Before any doctor, nurse or therapist examines or treats you, they must seek your consent or permission. In order to make a decision, you need to have information from health professionals about the treatment or investigation which is being offered to you. You should always ask them more questions if you do not understand or if you want more information. We collect and use your information to provide you with care and treatment. As part of your care, information about you will be shared between members of a healthcare team, some of whom you may not meet. Your information may also be used to help train staff, to check the quality of our care, to manage and plan the health service, and to help with research. Wherever possible we use anonymous data. We may pass on relevant information to other health organisations that provide you with care. All information is treated as strictly confidential and is not given to anyone who does not need it. If you have any concerns please ask your doctor, or the person caring for you. Under the General Data Protection Regulation and the Data Protection Act 2018 we are responsible for maintaining the confidentiality of any information we hold about you. 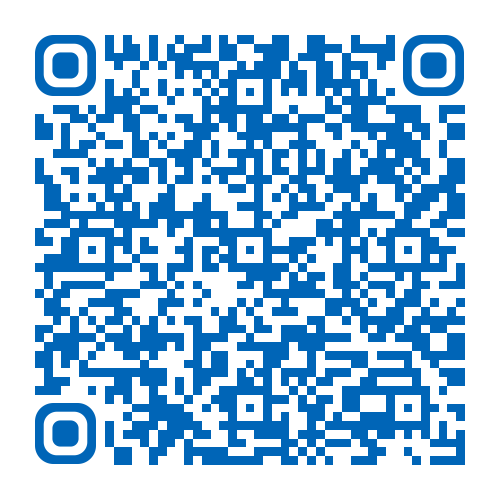 For further information visit the following page: Confidential Information about You. If you or your carer needs information about your health and wellbeing and about your care and treatment in a different format, such as large print, braille or audio, due to disability, impairment or sensory loss, please advise a member of staff and this can be arranged.